oops… sorry as I am still hungover the realm, of westeros and the vast lands beyond the narrow sea. 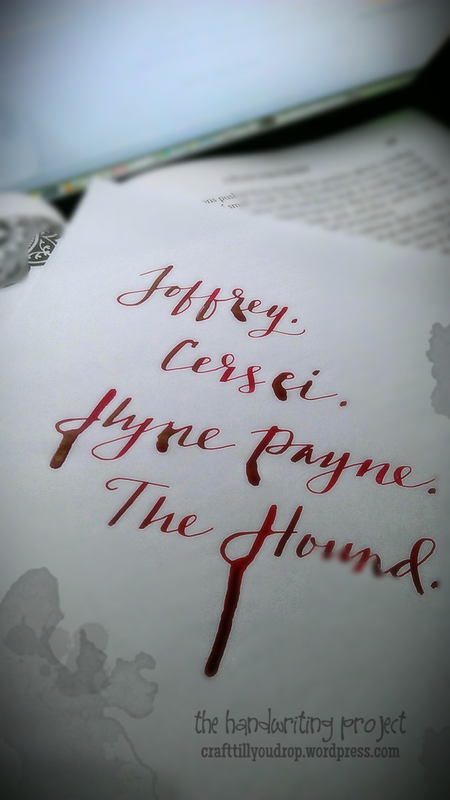 remembering arya’s unholy prayer on today’s lettering practice. and, yes dripping inks were intentional. I see a darkness in you. And in that darkness, eyes staring back at me. Brown eyes, blue eyes, green eyes. Eyes you’ll shut forever. We will meet again… in season 3!